Slots are the most played casino games on earth. Even with the advent of technology, it has not slowed down this phenomenon. If anything, the numbers keep on swelling thanks to the constant update of available slots games. Every week new games are added to the roster, and it is still not enough to satisfy the demand. It goes to show just how much these games are appreciated. More and more players indulge in the reading of slots guides to learn new tricks in order to pick a favourite slot out of the vast available collection which can thrill and make them money. Slots are not complicated at all, and this is evident judging by the number of players globally. A physical slot machine has a slot where currency in the form of coins, or tokens are dipped. A button on newer models is pushed, while a lever is pulled in the much older models. It spins the reels that have different symbols. Matching these symbols is what guarantees players a win. People play slots for fun and nowadays, with the necessity of convenience, technology has ensured that they are also playable online. The online version is a virtual representation of the real physical machine. It has the same features, but it is more exciting because of the designs. The reels on the slots can display symbols of anything. The slots are themed and configured differently, with some of the designs based on real life people or characters in movies, video games and history. Some of the symbols will be slightly different and represent scatter symbols, wild symbols, free spin symbols or the bonus game symbols. These are used to better the odds for the player. The versatility of the software used today to present slots online can change them to suit the visual desires of players. A common question among potential enthusiasts is how to guarantee returns or win often. It is a complicated issue because the slots operate completely on random probability. Once the button is pushed, the reels spin around until they come to a stop. There may be three, four or even five reels, depending on the machine being used. The goal for players is to match the symbols across the reels. The physical machines have a workstation-like design, with a screen behind where the symbols are arranged in a wheel column. This design is the same basic design that is used on the new digital versions. However, online games have some different features to make it more exciting and give the player a real life-experience kind of feeling. 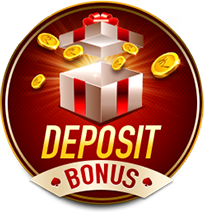 They will normally offer players a range of bonus features, free spins rounds and a game jackpot. Many people consider slots to be games that have no rules, other than the fact that pure luck is required to indulge and win. However, slots are games, and games need some discipline to guarantee levels of consistency. Without discipline, many players can get into debt and lose everything. One of the primary slots rules is to understand your gaming requirements and then effectively chose a slot machine that matches your demands. Different machines have different slots bets available, so it is important to research the game’s paytable. It is best to start with the simple 3 reel slot games and practise until you are confident, before moving on to the more complex video games. If you know nothing about the game, it is also advisable that you try out the free versions first to have a real feel of the game. This allows you to gain experience before dipping yourself into the real thing and spending money. It prepares you mentally and psychologically for the challenges ahead. After all, they say practice makes perfect. Slots tutorial information has flooded the web recently as everybody tries to invent a formula to strike it big. A slots strategy is not a straightforward thing as machines are completely random in their results. The slots do not allow the players to be as calculative as they would be in other casino games such as blackjack However, there are some tips that seasoned players use to help them, so it is wise to do a lot of research. Stick to one game at first and be sure to find the best and safest online casino to start your journey. Remember to ensure that you do not lose all your resources. Set a limit, play a little and come back tomorrow to try your luck. Slots currency is coins or tokens that are considered casino money. With the number of paylines available, players can place the minimum or maximum bet. The possible winnings will vary by game but can be two or three times the initial bet per spin. You should also understand the type of game you play on and look at the pay table to see which combinations pay out during play. Also, check out the games return to player (RTP) as this represents how much is paid back to players over time. There are three types of slots, the multiplier, the multi-line, and the progressive machines. Each one of them has different rules on the theory of matching the symbols and making the winnings. The multiplier depends on the number of coins you add: the more the coins, the bigger the reward. A multi-line slot means you can earn even wins from symbols landing diagonally, or where the top and bottom ones match. A progressive one takes a certain percentage of money from every amount played across casinos and pools it. This creates a growing jackpot fund, which can be a huge amount of money to win. It is often tough to win but some players are attracted to trying as the swelling amount in many cases, ranges from hundreds of thousands to millions. By matching all symbols, the winner takes the full amount and usually is not required to split with any other players. With so many slots in development, it is more a reality than a possibility that you could lose everything without ever making anything meaningful. It is advisable that you play with the minimum bet allowed in a bid to conserve and sharpen your understanding of the game in general. With the advent of technology, the statistics for the different games reveals quick information such as RTP (Returns to Player) ratio which can affect how likely it is to win on a machine. A higher RTP means there is a higher probability for a player to win. Paying attention to such ratings can be the difference between winning and losing. Bet Per Line – The amount of money being bet per line. It is then multiplied by the active pay-lines to determine players total bet per spin. Multiplier – A symbol which multiplies the potential payout on winning combinations. Winning Combination – The combination of game symbols that will result in a payout. Progressive jackpot – A jackpot fund which grows as more people play the game over time. Playing slots is a pure game of luck. Games use a random number generator that is completely random and it is not possible to affect the outcome. All that is required is to understand the rules and regulations and then proceed to play. Matching the symbols on the reels leads to a win. What Does Volatility Of Slot Machines Mean? The volatility of a slots game means how often they are likely to pay out. A low volatile slot pays out money more often than not during play. However, the amount is usually small in value. A more volatile one rarely pays out, but when it finally does, the amount is very high, as is the case for jackpots. Slots are simple to use, just ensure that you have read the rules and paytable and have a practice first. The reels spin and when they come to a halt, the matching symbols in the centre, displayed horizontally across the reels, normally determines whether you have won. You can also select the number of paylines you want to play. 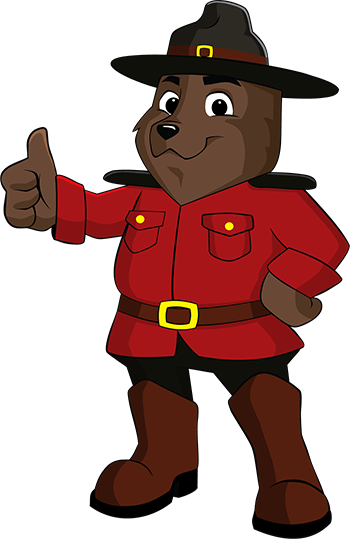 Casinoguides.ca is the best site to visit for acquiring well-detailed information on the latest slots. With vivid descriptions of all your favourite games and reviews of how they play. This site gives a very professional outlook to guide and cater for all players needs and queries. It is easy to use and find what you are looking for.